Health care facilities are on the front line of dealing with antibiotic resistance, named a global health threat by the World Health Organization. Each year in Canada, more than 18,000 hospitalized patients acquire infections resistant to antimicrobials and the “total medical care costs associated with antimicrobial resistant infections have been estimated at $1 billion” annually. However, health care facilities aren’t flexing one of their biggest muscles that could help address antibiotic resistance: their food purchasing power and influence. Let’s dig into how leveraging the $4 billion spent on food services by health care could help address antibiotic resistance and what we can learn from Health Care Without Harm’s work with U.S. hospitals. What is the difference between antibiotic and antimicrobial resistance? First of all – what is antibiotic resistance? Antibiotic resistance happens when bacteria change and become resistant to the antibiotics used to treat the infections they cause. The overuse and misuse of antibiotics — for example, patients not completing their antibiotic medication regimens and antibiotic overuse in food production — causes this resistance. This resistance is now spreading through the environment, animals and humans. Some microbes now have a combination of multiple types of resistance and have become termed drug-resistant “superbugs.” This all adds up to a frightening near future where we are unable to treat ordinary infections. The good news is that we can still act to reduce the pressure of resistance developing by reducing and managing antibiotic use. In Canada, roughly 30% of antimicrobials are used by humans in comparison to 70% in food production. Tackling Antimicrobial Resistance and Antimicrobial Use: A Pan-Canadian Strategy for Action (2017) outlines a number of actions underway in both the health and food sectors. For example, hospitals are implementing stewardship programs, campaigns like “Do Bugs Need Drugs?” are raising awareness about wise antibiotic use by Canadians, and more monitoring is in place to track the development and spread of resistance. However, a significant strategy has been overlooked: What if we put our money where our mouth is? A&W announced they would be sourcing chicken raised without antibiotics back in 2014, developing a supplier program to meet their demand. Other fast food chains are now jumping onto the antibiotic-free bandwagon. We could similarly leverage the purchasing power of health care food services to incentivize animal and seafood producers to reduce antibiotic use. Strategically directing health dollars in this way can create a virtuous circle where health care providers are helping to mitigate this health crisis and its costs. Increasing demand from purchasers will be instrumental in the transition for food producers towards a market for meat raised without antibiotics. Do I need to be concerned I am consuming antibiotics in my food? The primary concern is not that we are exposed to antibiotic residues in our food. 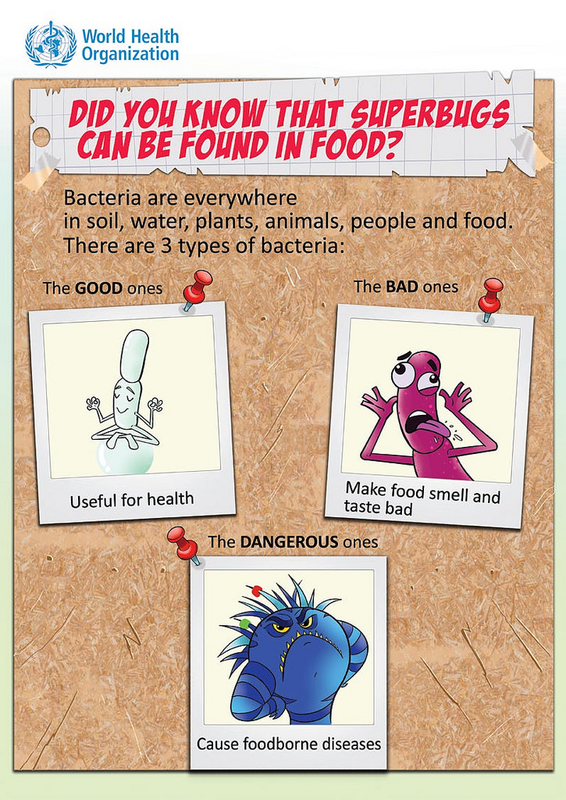 Levels of antibiotic residues are regulated by the Canadian Food Inspection Agency. The public health threat is rather the general overuse of antibiotics that is generating resistant superbugs, which the public is exposed to by various routes. So how does this play out on budgets of Canadian health facilities? The University of Vermont Medical Centre (formerly known as Fletcher Allen Health Care) offers a case study. The cost to switch to a line of chicken products raised with the routine use of antibiotics was $75,000. The cost of treating just one patient with a resistant bacterial infection like MRSA (Methicillin-resistant Staphylococcus Aureus) in their facility is almost the same amount. By taking a whole-of-hospital cost accounting approach, the upstream investment in purchasing meat raised without antibiotics to help address this huge challenge seems pretty reasonable. Unfortunately, many food service directors do not have the ability to access large food budget increases. Instead, they are learning how to intervene through changes to menus so they can purchase the typically higher-priced meats raised without antibiotics using “less meat, better meat” strategies. Canada can look to the successes of Health Care Without Harm through their Healthy Food in Health Care program in the United States, where they are harnessing the purchasing power, expertise, and voice of the healthcare sector toward the development of a sustainable food system. One of the core initiatives of this program addresses is antibiotics in animal agriculture. Since 2010, Health Care Without Harm’s strategy has been to steward U.S. hospitals to introduce “less meat, better meat”, a strategy to reduce overall meat purchases to save costs and reduce environmental footprint, while transitioning remaining meat purchases to those produced without routine antibiotics. 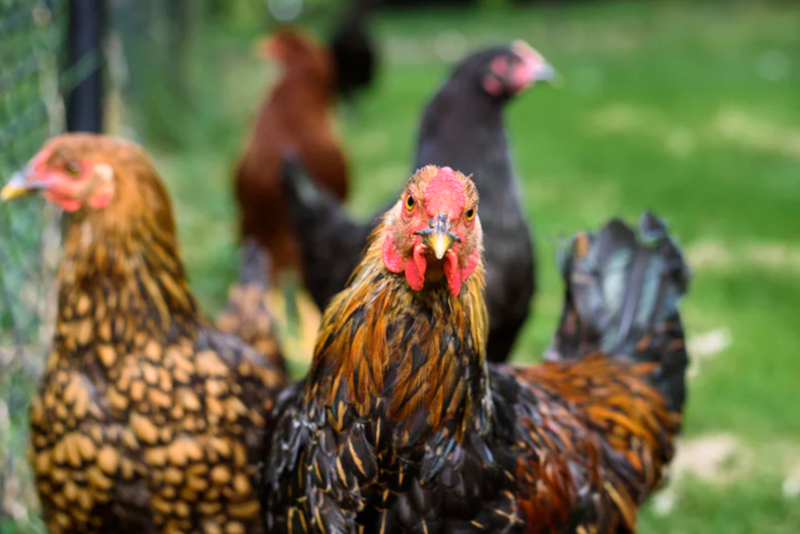 As of 2017, 66% of the national network of health care institutions report sourcing some meat and/or poultry raised without routine antibiotics. The 2017 Menu of Change report also highlights promising strategies such as blending meat with mushrooms to reduce cost of menu offerings, taste testing in cafeterias, and active engagement with meat manufacturers and suppliers. The national Health Care Culinary Contest showcased health care food service chefs connecting with clinician leaders to feature new culinary approaches that deploy the less meat better meat approach. To elevate the respected voice of health professionals, Health Care Without Harm joined forces with the Pediatric Infectious Diseases Society, U.S. Public Interest Research Group and the Sharing Antimicrobial Reports for Pediatric Stewardship group to form Clinician Champions in Comprehensive Antibiotic Stewardship. This collaborative works to increase knowledge within the clinical community of the link between antibiotic resistance and antibiotic use in agriculture and to promote policy action. Since it started in 2014, the collaborative has led education for health professionals with opportunities centered around health and agriculture policy and started the annual Antibiotic Awareness Week to orient the health care community to the urgency to act. Pressure from health care facilities and professionals has had an impact. Sales of antibiotics used in food-producing animals decreased by 10 percent between 2015 and 2016, according to the U.S. Food and Drug Administration. This is the first time sales of antibiotics have declined since the FDA started tracking these numbers in 2009. To date, most of the progress has been made in poultry production. Health Care Without Harm will be turning its attention to beef and pork sectors, seeking to synergize efforts with educational institutions and grocery retailers to use education, purchasing and international alliances to affect change. — Tertro, J. (2014, Nov 14) Agriculture industry must kick dangerous antibiotic habit. Globe and Mail. The World Health Organization and the Canadian government stress the importance of taking a One Health approach to address antibiotic resistance as humans, animals and the environment are inextricably linked with each other. It makes sense to leverage all of Canada’s health care resources, including its food purchasing power, to address this significant health issue. Canadian health care facilities and health professionals can start to integrate food purchasing as part of their antimicrobial stewardship initiatives using a toolkit provided by Clinician Champions in Comprehensive Antibiotic Stewardship collaborative. More supports are needed to encourage whole-hospital efforts that engage many stakeholders including patients, food services, clinical teams and the C-suite. One way to help scaling out to all facilities could be to incorporate health care facility food purchasing into Accreditation Canada’s Required Organizational Practices (ROPs) for Antimicrobial Stewardship. Health care’s responsibility for antibiotic stewardship should include reducing use of antibiotics by food producers as part of the bigger picture of reconnecting food and health. We can address our many challenges and turn them into opportunities by serving fresher, healthier and more sustainable food in care that better supports patient, staff and community well-being.